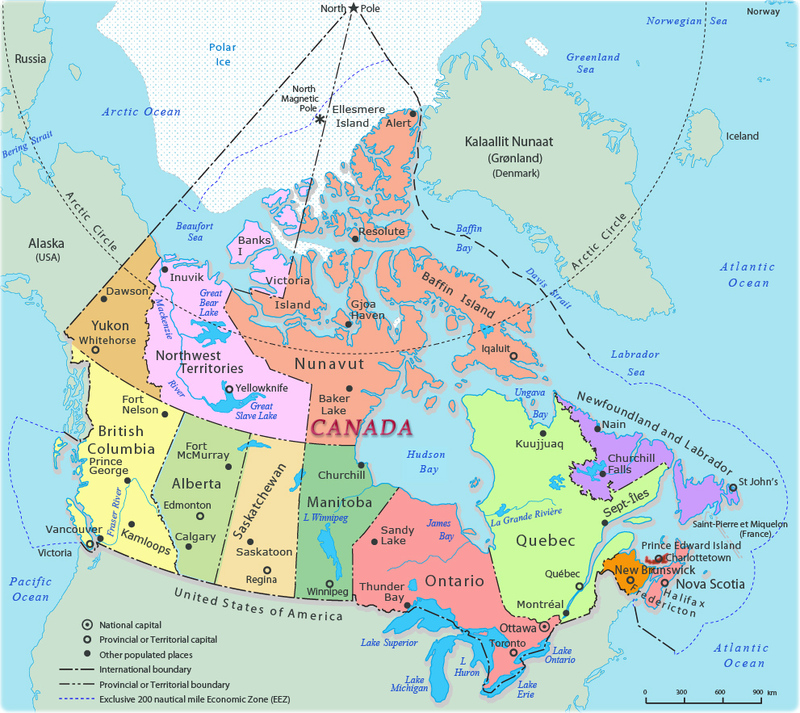 Main ports and terminals: Fraser River Port, Halifax, Hamilton, Montreal, Port-Cartier, Quebec City, Saint John (New Brunswick), Sept-Isles, Vancouver. 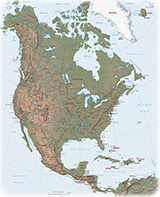 Copyright © Geographic Guide - North America. Hudson Bay, Atlantic coast. Border with USA. Kanada, Канада, কানাডা, Kanatã. More maps: Mexico and St Vincent & the Grenadines.. 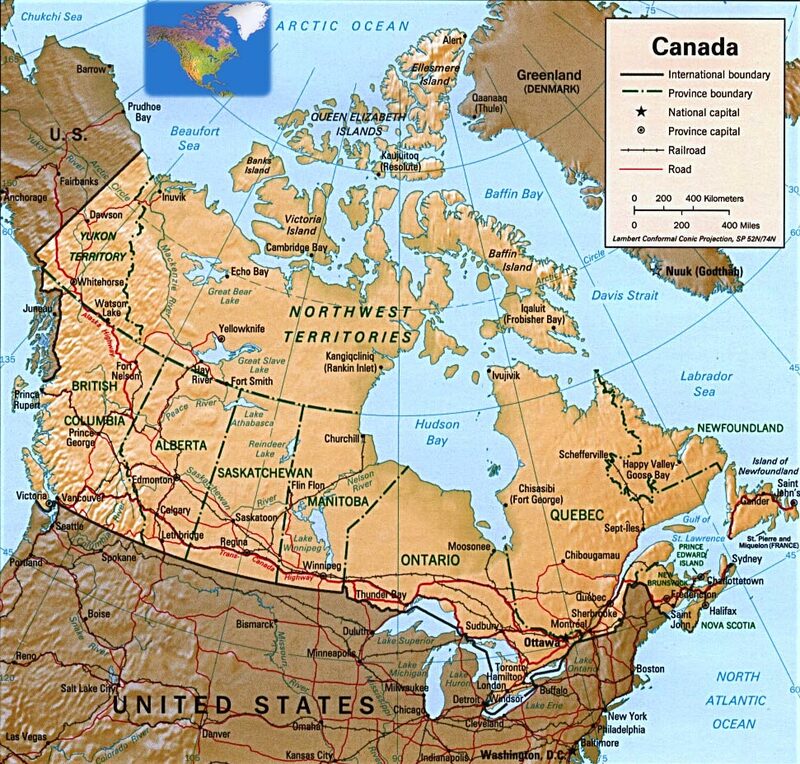 Source (edited): Her Majesty the Queen in Right of Canada, Natural Resources Canada - 2006.